True North Commercial REIT (TNT.UN-T) is spending $53.6 million to acquire three office properties in Mississauga, Ottawa and Victoria. * and a 47,650-square-foot property at 727 Fisgard Street, Victoria. “The acquisitions represent a significant accomplishment for our team, as we capitalized on these off-market opportunities and exercised patience to ensure we acquired properties consistent with our core strategies and at favourable cap rates,” True North president/CEO Daniel Drimmer said in a release. The combined implied cap rate is approximately 7.9 per cent, the company says. Funding comes from two sources: proceeds from True North’s November public unit offering; and first mortgage financing of approximately $34.4 million, with estimated annual interest rates of 2.86 per cent (Mississauga), 2.86% (Ottawa) and 2.87% (Victoria) for five-year terms. “With the acquisition of these properties, the proceeds from the November 2016 public unit offering have been deployed and, along with the capital raised during 2016, is working to maximize long-term unit value for our unitholders,” Drimmer said. The GTA property is a two-storey building on 3.03 acres of land with 31,410 rentable square feet and 178 parking stalls. It is accessible to the 400 series highway network, minutes from Pearson International Airport and close to public transit. The building is 100% occupied by a single credit-rated tenant with a remaining lease term of 2.9 years. 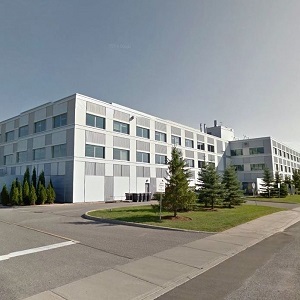 The Ottawa property is a class-A single-tenant, three-storey building with approximately 148,120 rentable square feet and 510 parking stalls. It’s minutes from the Ottawa International Airport and Highway 416. The building is 100% occupied by a single credit-rated tenant with a remaining lease term of 5.6 years. The Victoria property is a nine-storey, downtown building with approximately 47,650 rentable square feet and 45 parking stalls. It’s easily accessible to the Trans-Canada and Patricia Bay highways. With an average remaining lease term of 2.9 years, the building is 100% occupied, 94% by a provincial government agency. The Toronto-based REIT owns and operates 30 commercial properties of 1.94 million square feet across Canada, focusing on long-term leases with government and credit-rated tenants. True North is focused on growing its portfolio principally through acquisitions. True North’s unit price was $6.22 as of June 5. Its most recent monthly cash distribution, on May 31, was $0.0495 per unit. Its Q1 results, for the period ending March 31, 2017, reported a 32% year-over-year increase in revenue from property operations to $13 million. Same-property NOI increased by 3.4 per cent year-over-year. Occupancy was listed at 97.5% per cent.